One last finish for 2015! Even though this was finished after Christmas, I'm keeping it up until I take my Christmas tree down next week. It's just so cute! The tree and part of the outer border is actually made out of the extra fabric from my Blitzen Basketcase quilt. While I was initially thinking I didn't use enough red, I think the very red border helps balance out the green-ness of it. I quilted each section with a different filler pattern: the tree pot is bricks, the tree itself is overlapping wavy lines, the star is an echo star, and the background is a meander that alternates between swirls and stars. I did all of the quilting with off-white thread. For the binding I used a red tonal print that I had in my stash that was already cut into strips (I think it was a left over from one of my mom's projects that I commandeered the scraps from) and used a decorative stitch to do the final tacking down. The backing is a fabric I bought in the Joann's clearance remnant bin YEARS AND YEARS AGO. And it was perfect for this project! The pockets are from an old Denyse Schmidt line that I still seem to have a whole pile of in my scrap bin. 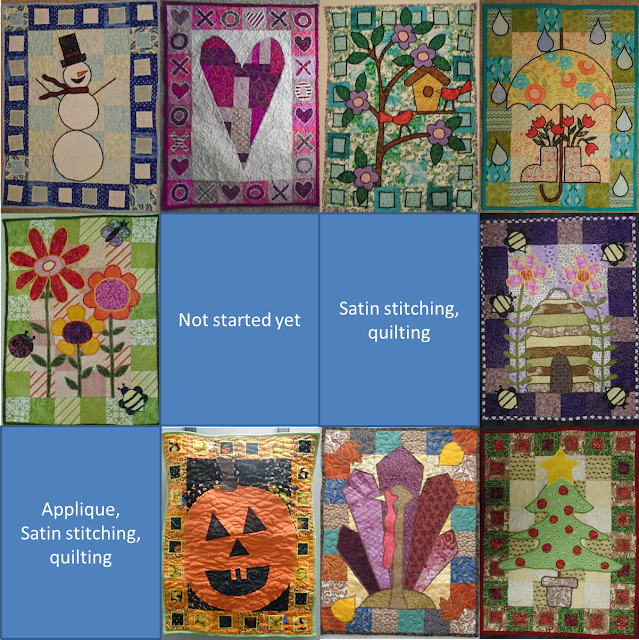 I think that is pretty good progress on these considering how many quilts I finished this year! Merry (belated) Christmas to you! 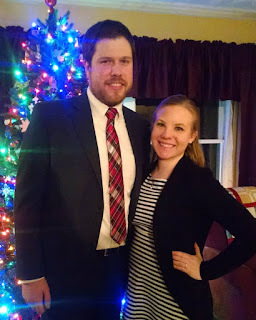 We just got back yesterday from 10 days with our families -- we had five Christmases! Now on to the good stuff -- The Best of 2015! I picked my most popular posts and added a little bit why I think they are a Best. 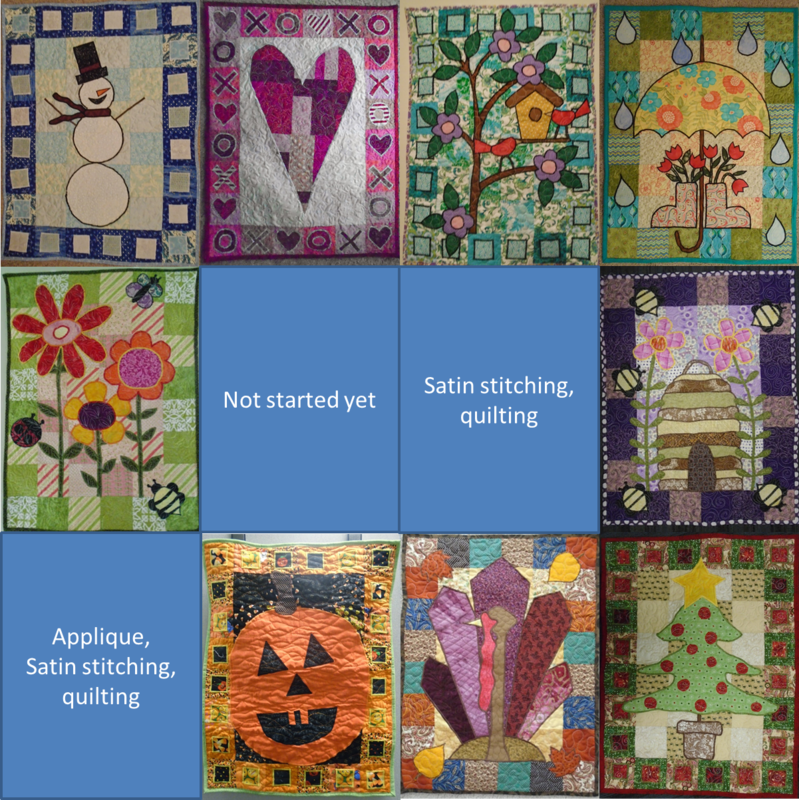 Why it's a Best: It's my first MBS quilt and it's my most viewed post this year! I love everything about this quilt and it reflects me in it! Why it's a Best: This is my first Christmas quilt! Although I didn't quilt this one myself, I could not be happier with how this one turned out and I have enjoyed cuddling with it all of this month! Why it's a Best: This quilt was fun to make and I went outside my comfort zone with these fabrics! I am hugely proud of the quilting on this quilt too. Why it's a Best: Because pink and green are my favorite colors! I had a lot of fun quilting this one with the vine pattern and the little bug-a-boos are just too cute! 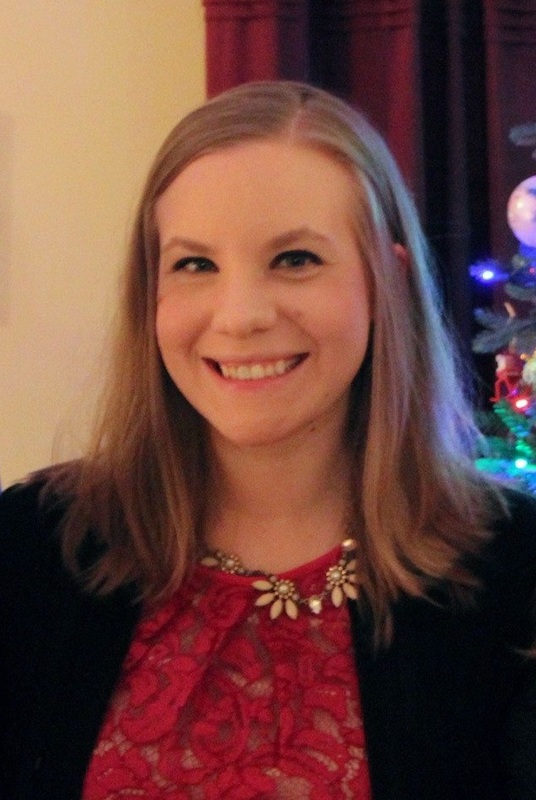 Why it's a Best: it is my BIGGEST finish of 2015! Everything but the backing came out of my stash for this quilt and I loved using it on my bed all summer! 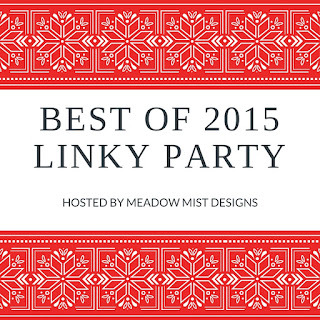 Check out all of the Best of 2015 posts at Meadow Mist Designs! Sew Mama Sew Giveaway Day Winners! Thanks to everyone who entered the Sew Mama Sew Giveaway! Friday night I was finally able to get the flannel to back the Pink Rings quilt and I got it all pinned that evening. Saturday morning I intended to get the whole quilt quilted in the morning and bind it in the afternoon. That happened -- sort of, with a major detour where I had to unpick about 50% of the quilting I had done because of some major nasty pleats and tucks in the backing. These ones were just too bad to try to smooth out. So I unpicked for two hours the quilting that it had taken me less than a half hour to do. BUT. I did finish the quilt on Saturday! And here's the back. There's a few places that ended up a little "puffy" but nothing a little washing and love won't fix! I bound it in brown fabric from my stash and it is quilted in off white thread. Sunday this quilt and its "mate" were delivered to two friends at church -- the little girl was born two weeks ago, and the little boy is due at any time! And the last night I finished up the last three blocks and put the top together! This quilt ends up being the exact same size as my Picnic Pinwheels baby quilt, which is perfect because these quilts will be going to two babies at church who are bound to be each other's first friends! Now to quilt this one -- I am planning to do off white thread (unless I can find a perfect light pink) with a pink flannel backing and brown binding! And while I'm at it I'll be quilting my Taffy quilt too! Happy Thursday! Don't forget to enter my Sew Mama Sew giveaway! Linking up for WIP Wednesday! It's the most wonderful time of the year -- it's Sew Mama Sew Giveaway Day! And now to the main attraction! Today, I'll be giving away a whole pile of Honey, Bunny, and Doll patterns! Click over to Craftsy to see all of the patterns! 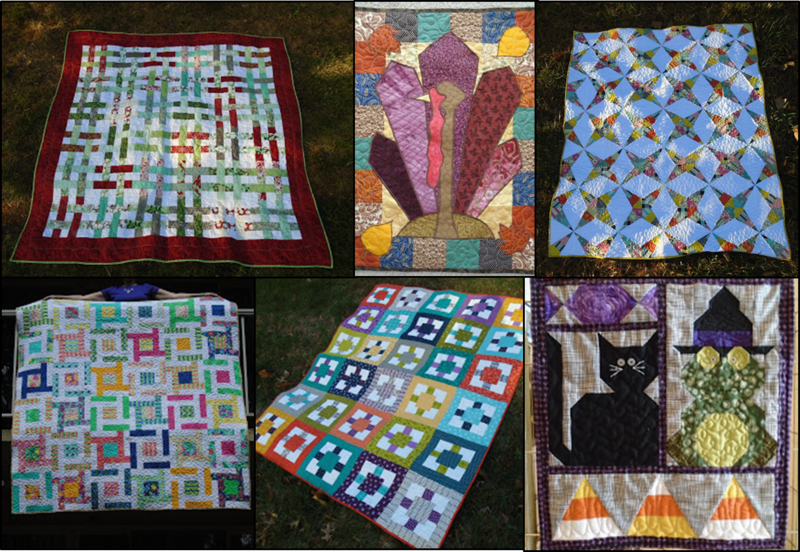 One GRAND PRIZE winner will win THREE patterns of their choice and five runners up will each win one pattern! BUT WAIT! 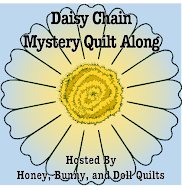 If we get over 700 likes on the Honey, Bunny, and Doll Facebook page, the number of pattern winners will double to TEN! 1. For one entry, leave a comment with your favorite kind of Christmas cookie! 2. For a second entry, if you are some sort of a follower/liker of Little Bunny Quilts and/or Honey Bunny and Doll Designs, let me know how you follow/like us -- follow on Blogger/Bloglovin, like on Facebook, follow on Craftsy, etc. Thanks as always to Sew Mama Sew for hosting! Click here to see all of the other craft supply giveaways! 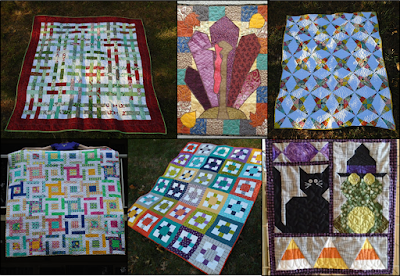 WIP Wednesday: Baby quilts, what else? After taking a little breather after finishing up my Firecracker and Square Pegs quilts, it's high time to get back to making baby quilts. Partly because I have so many to do, partly because one of my friends had her baby Monday and the next one is due anytime. I decided to sash together my Twelve Taffies quilt with black strips from the same jelly roll and grey cornerstones. I think I want to back it in grey and also use light grey thread to quilt it. What I didn't think about was that I don't have enough strips left to bind it, so I might have to find something in my stash that would work. 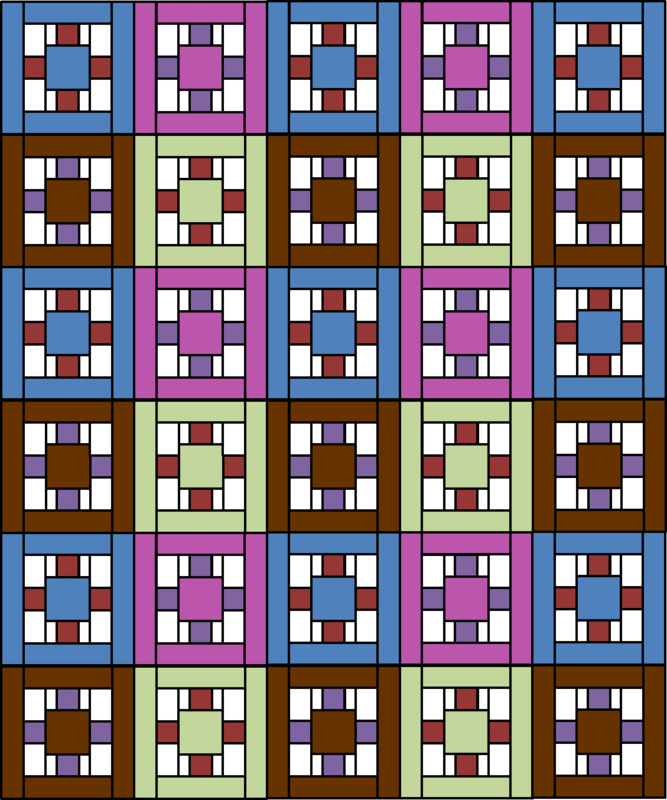 And since I now need to make two girl quilts (finally! 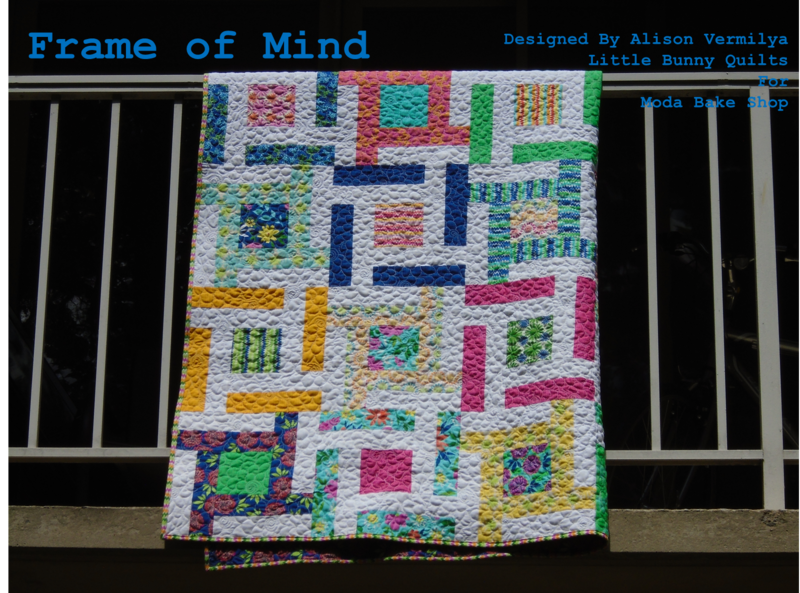 It seemed like I was making boy quilts forever.) I started into another one of the fat quarter bundles I got ages ago in the girl colorway. I picked a pattern from a quilt in Quiltmaker magazine but I am just making the churn dash-like blocks and not doing any applique blocks for my quilt. I am going to keep the red at a minimum because it makes the quilt look so much darker! I am planning to back this one in pink too. I have the strip piecing for the blocks all done and the sub-units cut which is awesome! Next up is to make all of the HSTs -- hopefully that's my project for tonight! Linking up at WIP Wednesday, Let's Bee Social, Fabric Tuesday, and Sew Cute Tuesday! It's always sad to make and post about the last blocks of a bee! These are my blocks for Bev made from the Quatrefoil pattern from the Bee Hive. 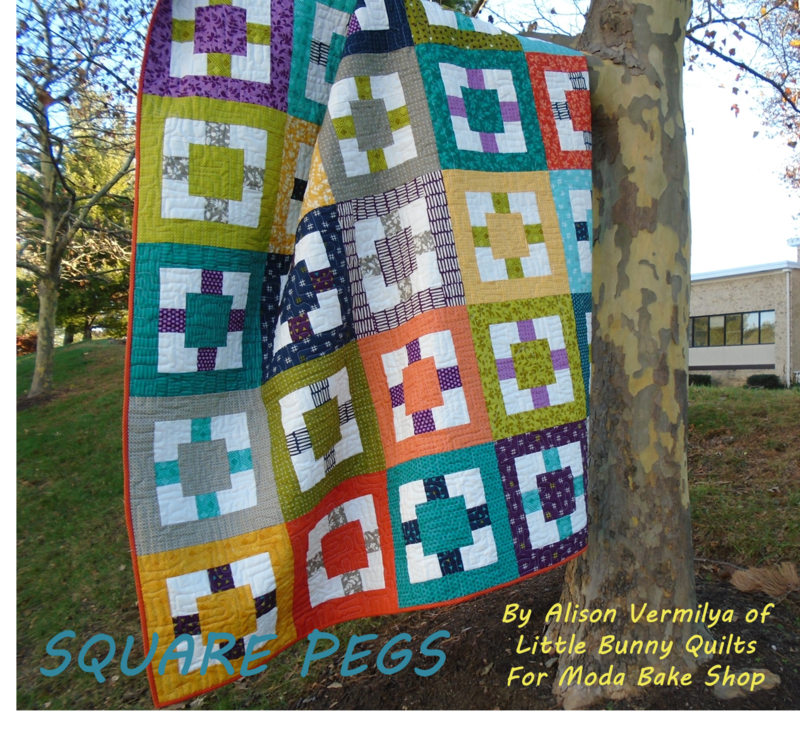 Square Pegs Pattern at Moda Bake Shop! I am so excited to share that my second pattern for Moda Bake Shop is now up -- Square Pegs! 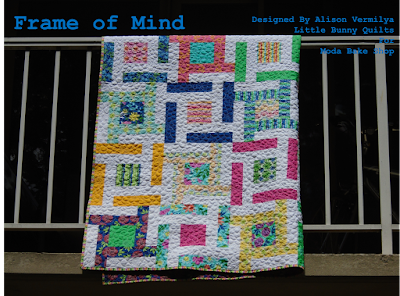 This quilt is made with one jelly roll, one charm pack, and a little bit of white yardage. It's a modern take on a log cabin and made with the gorgeous new line from Studio M -- Basic Mixologie. 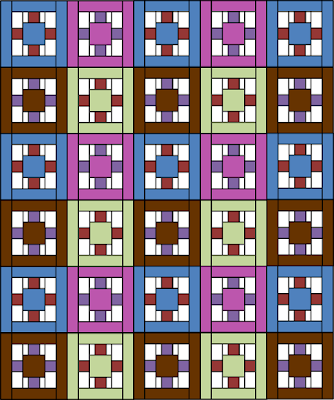 This is a great beginner quilt but is fun for any quilter! The blocks go together very quickly and the pattern is easily scaled up or down with more or fewer blocks. It's somewhat visible in the "tree pictures", but for the quilting, I did a "mod meander" -- it's like Leah Day's "circuit board" pattern but the corners are all rounded or curves rather than sharp turns. I can try to take some closer up pictures of the quilting! The background is a great teal print from the line that is diamonds and the binding is an orange diagonal stripe -- perfection for binding! I hope you pop over to Moda Bake Shop to check out the pattern and if you make your own version, be sure to share it! Unlike October where I actually got my set done in November, I actually completed my November portion of the Meadow Mist Designs Midnight Mystery quilt in November! This month we made a few half square triangles, but mostly we sewed our units from the previous months together! The half square triangles were used to make the units in the upper right hand corner and an olive rectangle added in. We made two of those. Our flying geese units and square in a square units were all sewn together (which I totally expected!!!) and then some of them were sewn to olive squares for the units in the lower right hand corner. I think I know how it all is put together BUT I don't want to say it and then end up being wrong! I definitely think some of those units get turned into stars, because what quilter doesn't like stars? Linking up to the normal Tuesday places! Firecracker Ruler Give Away Winner! It's time to announce the winner of the Creative Grids ruler from the Firecracker give away! Congrats to Linda! I will hopefully be back with some REAL progress on something tomorrow or Wednesday!